ever heard the saying "champagne taste on a beer budget"? that pretty much describes my beauty protocol. i love all things beauty and most often prefer all things expensive. i can't help that i like a foundation that applies so smooth it is virtually invisible, or a scent that smells so delicious it is irresistible. the only problem is that my budget is not very welcoming to a $50 foundation. thankfully, beauty companies are generous. maybe you are the type who avoids the makeup counter because you don't have any money to spend. here's my advice: STOP IT. take a minute to browse around. be honest with salesperson and let them know you only have $15 to spend and want to try the foundation, concealer and the lipgloss. you may only leave with purchasing the lipgloss, but makeup counters are usually equipped with adorable little pots that will stock you up with a short supply of any liquid or powder. 1. Sephora - samples abound inside Sephora, you just have to know where to go. my personal favorite is the perfume aisle. package any perfume you are interested in trying into an adorable tester tube. try one (or ten) and decide whether that is a scent you'd really want to invest $60 in. if you have a few minutes head over to the polish stand and treat yourself to a manicure. nearly any color desired is available for "testing". 2. MAC - i like to develop a relationship with my MAC salesperson. i stay loyal and always buy my product from the same person and in return they are more likely to keep me updated on the newest releases. they know i am going to buy product, i just don't want to buy it all. instead they'll load up my bag with samples of pigment, foundation, lip gloss or concealer. this way, i try before i buy, saving myself tons of money. 3. 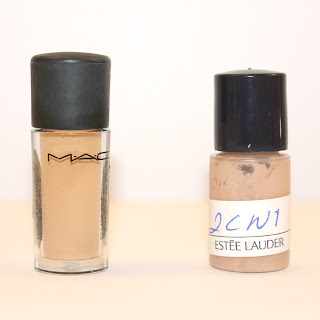 Estee Lauder - this company is generous when it comes to their foundation and the product is amazing. i'll swing by my Estee Lauder counter and pick up a ten day supply of foundation, perfectly matched to my skin tone. this tiny wonder is ideal for traveling. 4. Bare Escentuals - this brand often offers a small supply of their famous mineral makeup including a travel size kabuki. take a minute to browse around and select your favorite eyeshadow/blush/foundation shades. 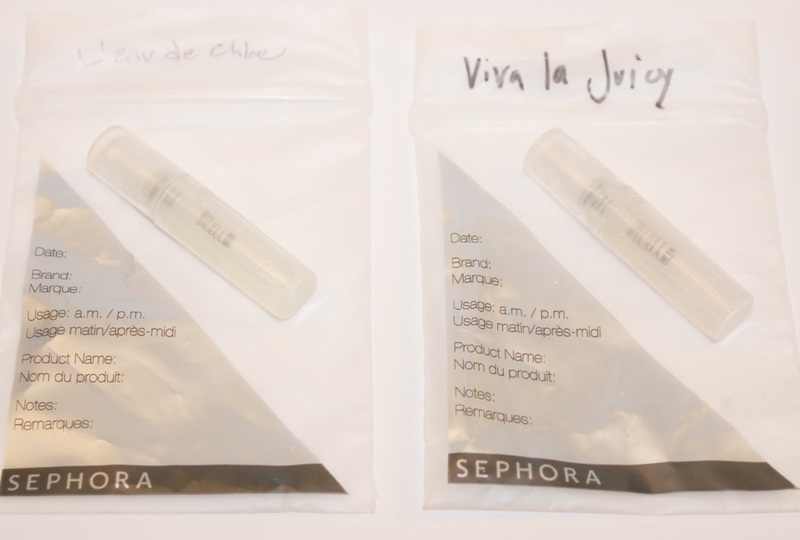 the salesperson is happy to package them up for you into tiny little sample pots. i have some tried and true favorites (Queen Phyllis, anyone?) which i stumbled upon by sampling. as with anything, moderation is key. approaching a counter with the intent of taking advantage or getting all you can without investing is not only tacky, but obvious. be friendly, be courteous, be honest and it will come back to you. most often in tiny adorable jars. I love to try the products before buy them! And it's true, it's really important that brands gives us the oportunitty to try the products first, I think! Christine, I'm sorry my email didn't work for you. Lips are tricky because you really can't technically change shape without permanently altering them (meaning plastic surgery or fillers). Otherwise, my best recommendation would be using lip liner to over-fill them. If your lip liner tends to wear quickly, try a lip primer (MAC makes one) first and then apply your lip product. Primer always equals longer staying power. Fantastic tips. I also like Clinique counter at Nordstrom. Super nice sales ladies and they give free samples all the time. thanks for the tips. I'll admit, sometimes sales people scare me.